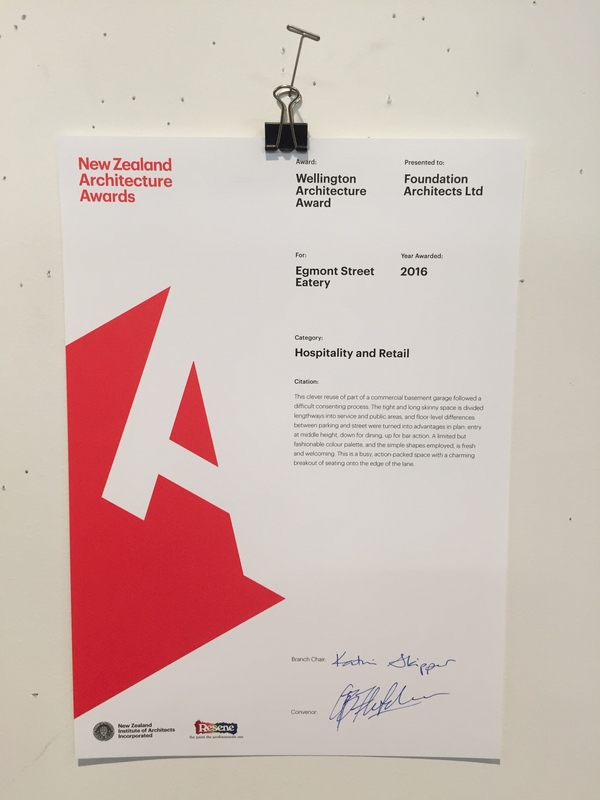 We are very pleased to announce that last night at the NZIA Wellington Architecture Awards ceremony, Egmont Street Eatery, was recognised under the Hospitality and Retail category. We would also like to further acknowledge the effort of Holmes Construction Group Ltd, who were the main fit-out contractors, as well as Simon Pepping our client, whose patience and excellent judgement was critical for the success of this small urban intervention. On a final note, we highly recommend, that you visit this establishment and experience the excellent service and food on offer.